A startup asked me to conduct user research to determine the type of users the company should concentrate on. I opted to interview users in person and via video chat. Because talking to people will always tell you more than surveying people. During my time with a startup company, I was asked to conduct user research to determine the type of users the company should concentrate on. This startup company had been running for quite a while before my time there and essentially, they had been concentrating their efforts on marketing. They had posted plenty of surveys and pools. As I was new to this company, I didn’t have any biased assumptions about the user type (yet). I started to plan and organise some qualitative, semi-structured interviews. 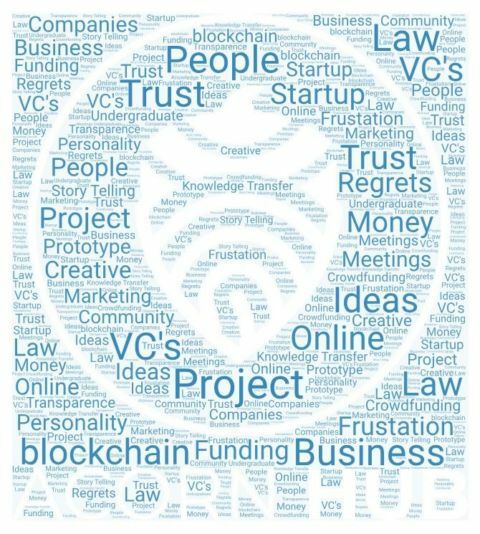 The idea behind interviewing users was to be able to talk (in person or over a video chat) about the ups and downs of running a startup project. This kit offers concise guidelines to quickly assess the general suitability of UX methods for your research project. 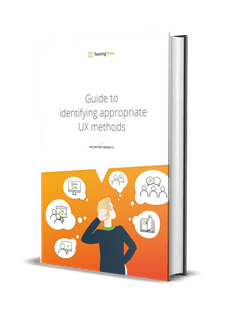 It contains a printable diagram with established research methods for each product development phase and a UX methods sheet with descriptions, strengths and weaknesses, and areas of application. The first issue I encountered was the difficulty of recruiting participants. In the beginning, we posted an ad on LinkedIn, offering interested participants a Curly Wurly (a caramel-flavoured candy bar covered in chocolate, and yes, it was new to me as well). Funnily enough, that campaign showed the highest conversion rate. We tried to get more participants using another ad. This time, the offering was to enter a draw for the chance to win free subscriptions to the company’s service (worth over £700) as well as some business books. But surprisingly, this campaign didn’t resonate with people. Please note the wording before: “the chance to win.” When I discussed rewards for participants with the stakeholders, I mentioned the fact that usually, £40 in cash or vouchers was the threshold recommended by my UX colleagues. But I never mentioned a draw. Perhaps the possibility of winning a prize made the ad seem dubious to the users? To be fair, I would have reacted in the same way. The shortlisting was pretty easy as I didn’t have a lot of participants. So my choice was to select them all. After a few emails back and forth, some meetings were set up. The in-person meetings were much easier to set up than the online ones. To get the demographic, gender, and position of the participants, we screened them with a quick-response survey. Some of the potential participants never filled out the surveys but were still interested in the interviews, so I decided to keep them. As mentioned, I didn’t have a lot of participants so I couldn’t be fussy. I ran the quick survey at the beginning of the interviews with the same questions disguised in a conversation. I used Calendly to organise the meetings, a really clever tool which allows participants to choose their own slots based on your calendar availability. It saves you tons of emailing back and forth with participants, I highly recommend having a look at it. There are plenty of other, similar services but I really liked the simplicity and usability Calendly offers. I decided to opt for a semi-structured interview technique. Using a set of questions in a flowing conversation, the idea was to lead participants in the right direction, getting answers without directly asking for them. I found this part really easy. Having years of experience managing restaurants, speaking with people comes naturally to me. Some people might find this intimidating. But keep in mind that you are conversing with people just as you would at your local eatery and you will be fine. People tend to talk a lot when a conversation gets going. Quick tip: try to learn your questions by heart. It will keep the conversation flowing without you sounding like you are reading a script, making everyone feel more comfortable. In each interview, I first went through the formalities. I clearly explained the purpose of the interview and the participants’ right to withdraw from the interview at any time. I recorded all of the interviews (video and/or audio). This was cleared at the beginning of the interview and agreed upon with the participants. I obtained written consent from the remote participants with Google Forms. For the in-person interviews, I used a printed version. Quick tip: use a code for your participants, e.g. P001, P002, … This will ensure the participants’ anonymity while providing you with the opportunity to go back to your recordings later on as needed. I used a thematic analysis to gather my findings. Based on the feedback recorded during the interviews, I created several sticky notes for each participant. Quick tip: consider using Otter.ai, a voice note which transcribes your recorded conversations for you. It’s not flawless and you will have to go through it all, listen again, and make the necessary corrections. But it will save you a lot of time. The trick to the analysis is reading between the lines. I suggest going through your recordings as soon as possible while the interview is still fresh in your mind. It took me around 2 hours per participant to transcribe, code, and jot down my notes on post-its. Keep that in mind. If you have 12 participants, it will probably take you 18 to 24h to transcribe and code 12 1-hour interviews. With the help of the project manager, I organised a 1.5-hour workshop with the company stakeholders entitled: Empathy Workshop. The idea of the workshop was to present my findings without imposing anything on the stakeholders. I also wanted to avoid delivering my findings in a report that they probably would just quickly browse or not read at all. After explaining to the team what I’d been doing during my research phase, I proceeded to deliver my findings. I told a few inspiring stories to give the staff a good idea of the vibes I got from the participants. I discovered that an hour and 30 minutes was too short for a workshop. But it was too late to reschedule, the stakeholders are busy people. So I left some parts out. Additionally, I presented the workshop using slides which I now wish had contained more pictures and illustrations and fewer words. But that will be something I will improve next time. Live and learn, as they say. The findings were great and the stakeholders were surprised by some of them. We discovered, for example, that all participants showed an interest in being part of a community. Despite the fact that startup projects involve doing a lot of things on your own. Wanting the possibility to discuss the plan with likeminded people was something that never surfaced in any surveys or pools they had previously sent out. We also found out that sometimes, the most difficult part isn’t bringing a product to life. It’s all of the associated administrative tasks. Simple things such as selecting the right website hosting company or email provider. Quick tip: don’t sign any lengthy contracts with service providers. If they are confident in their product, they shouldn’t have to bind you to them like that. The workshop was a huge success. We managed to create clusters of sticky notes, find themes, generate insight statements, and start an empathy map on a big whiteboard. Quick tip: have your participants stand for most of the workshop and keep the rhythm upbeat. You want to create a buzz and get the stakeholders excited about the activities, findings, and opportunities you generated. Leave your assumptions at the door. Document and hold onto all of the ideas you generate during a workshop. Sometimes, the craziest ideas end up being the best ones. 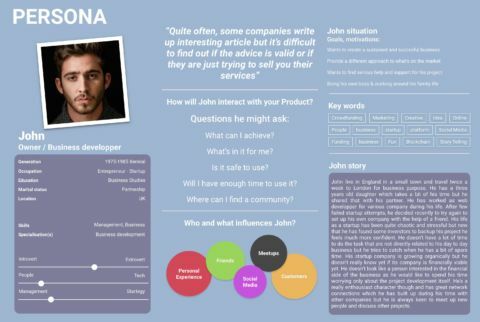 I finalised the empathy map we started on during the workshop and created a persona. I used a nice template I found on one of Paul Boag blogs. Ideally, you want your deliverables to look as good as possible. Frame them if you can. Hanging a big persona or empathy map on the office wall will remind staff members exactly who they are building foron a daily basis. There’s no need to be a graphic designer, either. Just use a template on the Internet and adapt it to your liking. I use Sketch to create my personas: the layout is already there, it’s just a matter of generating new data for it. Word clouds aren’t commonly used anymore but I find them nice to look at. The startup company had conducted plenty of surveys and pools online. Nonetheless, interviewing users resulted in more information and confirmed many assumptions. This wouldn’t have been possible without qualitative research. Conversations with people will always tell you more than simple surveys will. And survey results are often biased: in general, users want to provide a pleasing answer. This is normal human behaviour. Organizing a workshop after you’ve completed your research is a great way to deliver your findings. Because workshops involve everyone, the findings become everyone’s findings. So there are fewer issues due to a lack of ownership. Should you have the possibility to work with a test user recruitment company, do so. 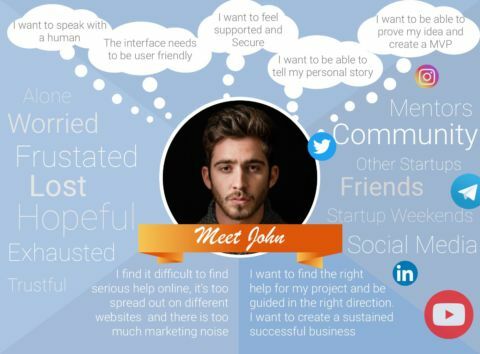 Recruiting users is time-consuming and really difficult to do on your own. But whether you outsource your recruiting process or not: always be thankful for every participant who agrees to share their experience with you. Mika is a UK-based UX Designer. He specializes in user research, usability, and the psychology of interaction design. 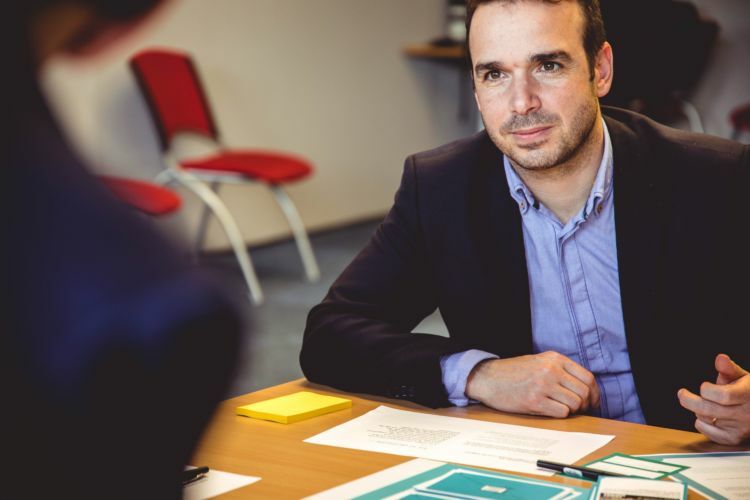 A former senior manager with more than 20 years of experience in customer service, Mika started a new career in UX when he realized that the UCD approach is crucial for companies to strive. More about Mika on mikageo.com.